Even though I've read The Gateway Chronicles at least 3 times, I still stay up way too late reading it every night. I'm seriously sleep deprived at the moment, but I can't put the books down. If you haven't read this series now is the perfect time to start. K. B. Hoyle is releasing updated and, in some cases slightly expanded, editions this summer. I first reviewed The Six way back in 2011 about a month after I started blogging. Hoyle was one of the first authors to contact me for a review. I have followed her ever since. In my first review, I said that I had trouble focusing on anything else while reading it. In 2015, I tried to do a read along on the blog, and I kept it up through book 3 The White Thread before I just couldn't restrain myself any longer and sped through the rest of the series. And now my third time through, I can still say that the story consumes me. I wish I was on vacation so I could just read this series all day without interruption. In this revised edition, I didn't really notice any changes. Well, the opening, when they are traveling to the camp, felt a little different. I know if I was truly a diehard Gateway Chronicles fan, I would have my older copy open beside the new edition to make the comparison. (I did consider it but I was in bed and didn't want to walk across the room for it). Looking back at the read along, I was reminded that the edition that was released a few years ago by The Writer's Coffee Shop had a prologue. This new edition reverts back to my edition and eliminates the prologue. I shouldn't have started the book right before bed. I thought I could just read a little bit and then go to sleep. No, I was as excited to get to Cedar Cove Family Camp as Samantha Palm. I couldn't wait until Darcy sank her toes into the sand along the lake and felt the magical tingles. I thought I would stop there. But then I found I couldn't wait for them to reach Alitheia and kept reading. If I had one criticism about the book is the number of characters whose names start with a T or B. I have trouble keeping them straight in my head after I stop reading. Like I can't remember if the warrior who meets them at the gate is Torrin or Tullin. Whatever his name, I wouldn't mind meeting him. When I re-read books, I like when I can find new things or different things stand out. I think this time I'm really focused on the Christian allegory woven into the story. Now don't get all freaked out about this being Christian fiction, because it is not. The allegory is subtle and can be interpreted differently depending on the reader's perspective, kind of in the vein of J.R.R. Tolkien or C. S. Lewis. You can also ignore the allegoric bits totally and still have a very enjoyable story. But for me personally, the allegory has really impacted me and deepened my faith. 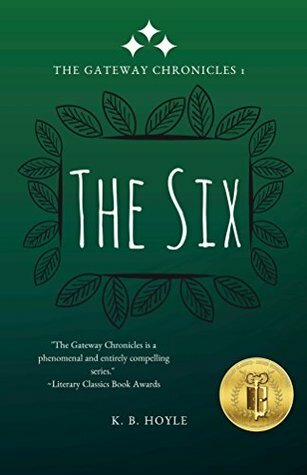 When I started The Six, I wasn't sure if I would continue to re-read the series as I have several review copies in the queue. But, really who was I trying to fool? I couldn't stop if I wanted to. The compulsion to keep reading is as strong as the call of the Oracle. Like the first time, I was able to pick up The Oracle (book 2) pretty quickly after finishing The Six. I tried to restrain myself, telling myself that I must read the next review books I have on my schedule. Yeah. That only lasted 1 book and then I had to dive back into The Gateway Chronicles. 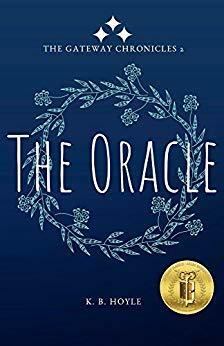 Now, you would think wandering around the wilderness of Alitheia would be boring, but as I mentioned in my first review of The Oracle the story moves at a clipped pace. Unlike the first time and maybe the second time, I didn't cry this time. I was still sad and dreaded coming to the end as I knew what happened. Be warned, if you are reading this series for the first time you may want to have a tissue close by. I was kind of hoping to see more of Sam, Amelia, and Lewis but there are no added scenes or anything with them. I was also struck by how little we see of Tellius up to this point. I know at this point there isn't much of a need for him and there is such a large cast with The Six. Also, I don't feel like I really know Dean and Perry. I feel like I know Sam, Amelia, and Lewis (and, of course, Darcy) more than Dean and Perry. Even though of the 6 they are the only ones to accompany Darcy. Dean, in particular, seems like an almost invisible character. Ironic (or is it?) since his talent is to blend in. Maybe there is something about Dean from the rest of the books that I don't remember right now and I will feel differently after finishing the series again. In addition to a tissue, you will also want to have The White Thread on hand as you won't want to wait to find out what happens next. And lucky for you, the new edition just came out this week. I'm already pretty far into it and hope that book 4 is available by the time I finish it. Have you read this series? Are you re-reading the new editions? Are you just now discovering this wonderful series? Whether you're a long time fan or new fan, I would love to hear your thoughts on the books. I haven't heard of this series!! I definitely need to check it out!! Thank you! I really love this series and it is great to re-read it.